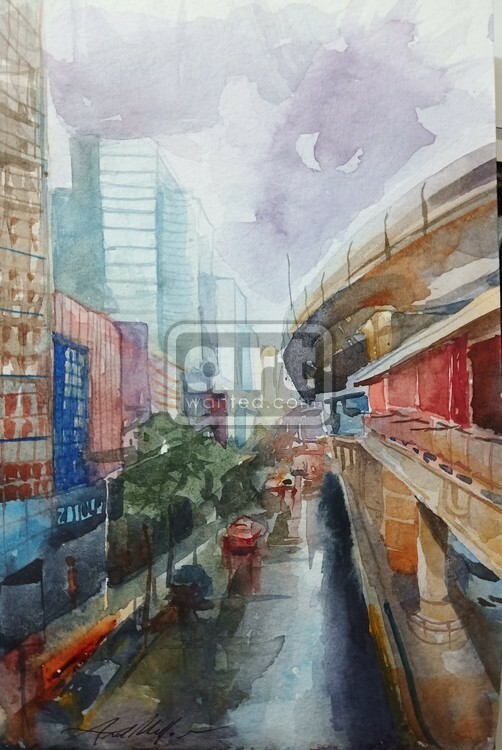 I like this sensitively painted watercolor of life in the city. Artist Reply: Thank you Linda..I love subjects about rainy days in general,,it's soothing and refreshing.,hope you enjoy my works! ? ?